Dr. John, The Night Tripper – Gris-Gris, Brilliant debut album by Dr. John who fuses New Orleans rhythm & blues with psychedelic rock. Willie Mitchell – Solid Soul, Like the title says a solid soul album by legend Willie Mitchell who sadly passed away last month. Features stand out track Groovin‘ which was lifted by RZA on the GZA track Liquid Swords. The Necks – Silverwater, The latest epic studio album by Australian group The Necks. Sit back and give yourself an hour to get lost in their transcendental music. 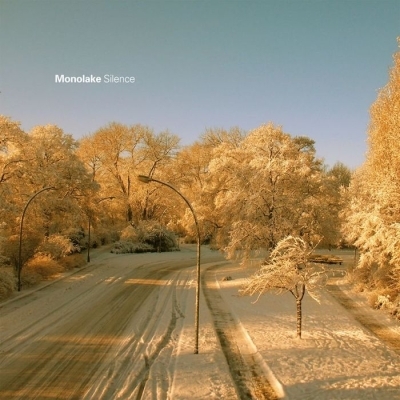 Monolake – Silence, Latest album by the German avant-techno artist and the man behind Ableton Live. It first comes across as rather cold and clinical but there’s a ghost of warm emotions in this machine. Perfect for headphone bliss-out sessions. Beastie Boys – Paul’s Boutique, Great second album with impeccable production by The Dust Brothers. Reminds me that Hip Hop isn’t all about Bling and Bravado. Sonic Youth – Dirty, True SY aficionados may brush this off as one of their more commercial albums but I f*#ckin’ love it. Sugar Kane is a highlight. Steve Reich – City Life / New York Counterpoint, Two great pieces by composer Steve Reich each about NYC. City Life takes field recordings from the city such as the cry of a newspaper man “Check It Out!” and car horns and combines with an Orchestra. At one point the samples repeating almost sound like some beautiful proto-techno / orchestral fusion. Sade – Love Deluxe, Some would call this a guilty pleasure. I just call it good music. Restrained musicianship from this three piece give room for Sade Adu’s voice to shine. Pearls is a favourite, about a Somalian woman dying by the roadside. In the chorus she sings “and it hurts like brand new shoes”. Was this an unintentional social commentary on how the only way for a Western person to relate to this poor woman’s misfortunes is to say that is “hurts like brand new shoes”? I don’t know but it works for me.